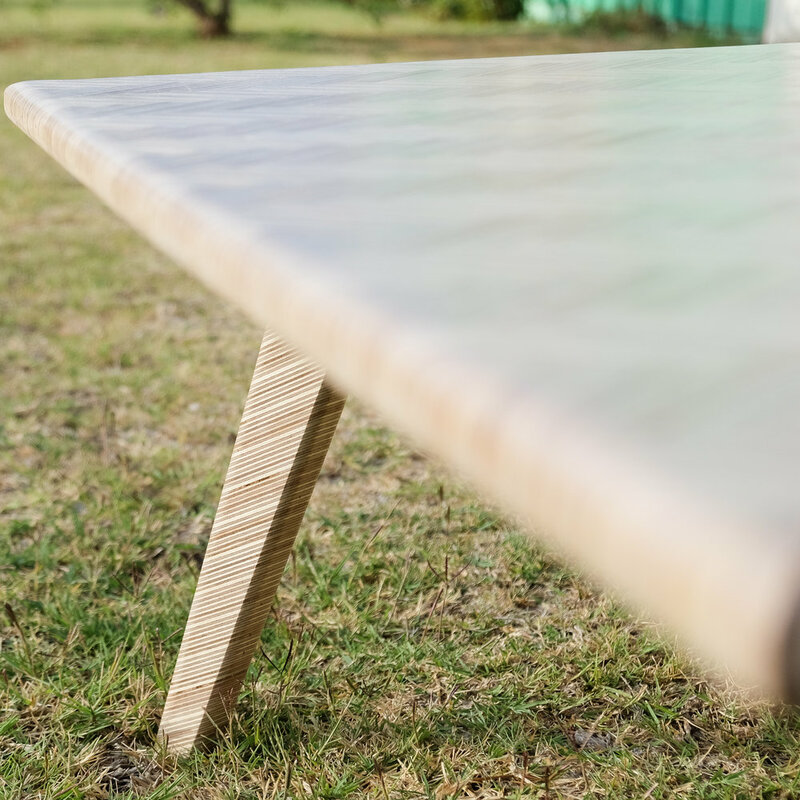 The guys over at the Modern Maker Podcast (Ben Uyeda from Home-Made Modern, Mike Montgomery from ModernBuilds, and Chris Salomone from Four Eyes Furniture) set out a challenge for people to build something using only one sheet of plywood. 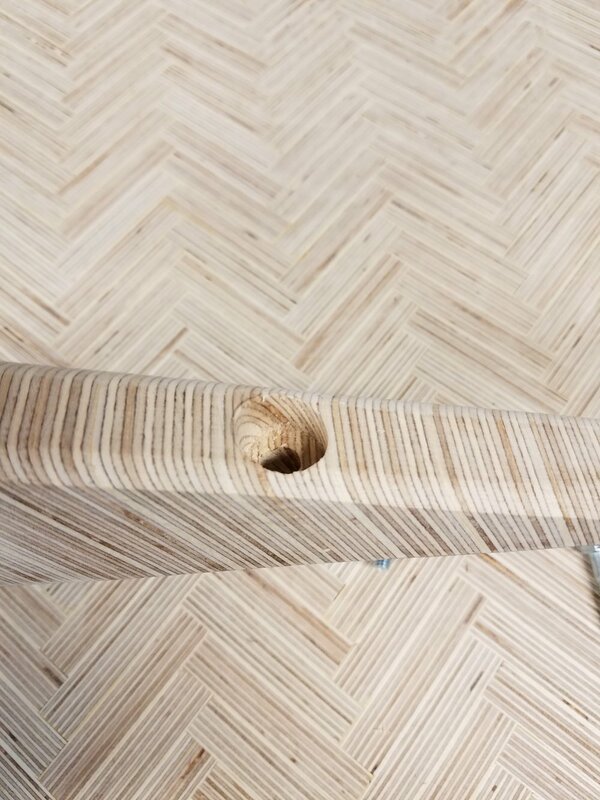 Plywood edges often get covered up with edge banding or veneer, so with this challenge, I really wanted to emphasize the end grain and make that be the highlight of the piece. 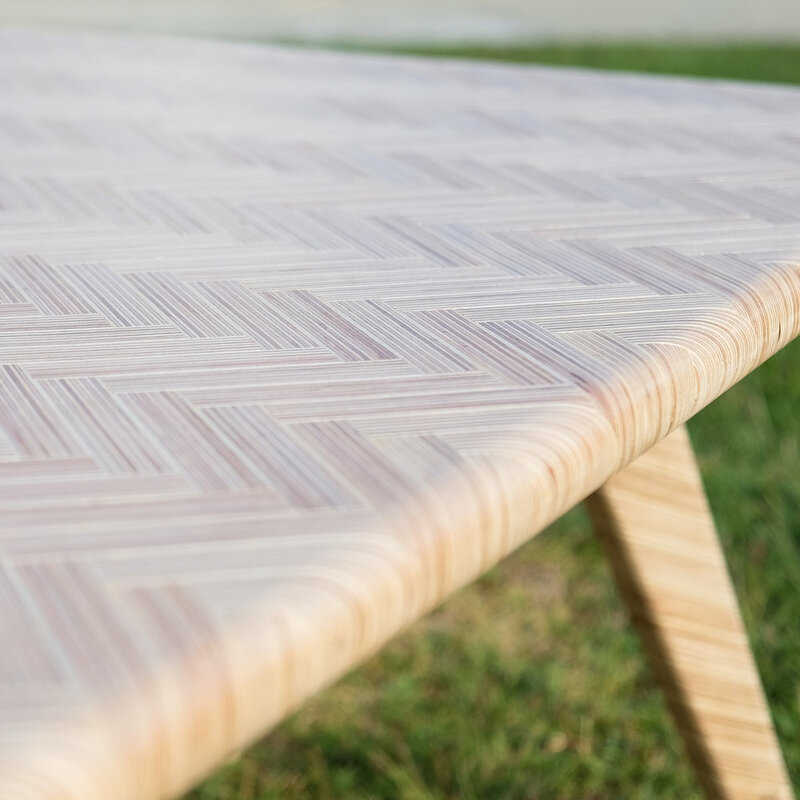 I decided to make a coffee table, and I’ve always liked the herringbone pattern so that’s what I did for the top. I made splayed legs for a more modern design. It was a lot of fun participating with the creator/maker community and really inspiring to see what other projects people came up with. I used baltic birch vs regular plywood from my local lumber store since the ply layers are a lot nicer with very few voids. Regular plywood on left, baltic birch on the right. I started by ripping the sheet down into 1.125” strips, which when flipped on the edge, becomes the thickness of the table. Then the strips were cut into 3.5” inches in length. The longest part of the build was gluing up all the little pieces into the herringbone pattern. The dimensions of the top is 24"x44"
The edges were rounded over using a ½” round-over bit. 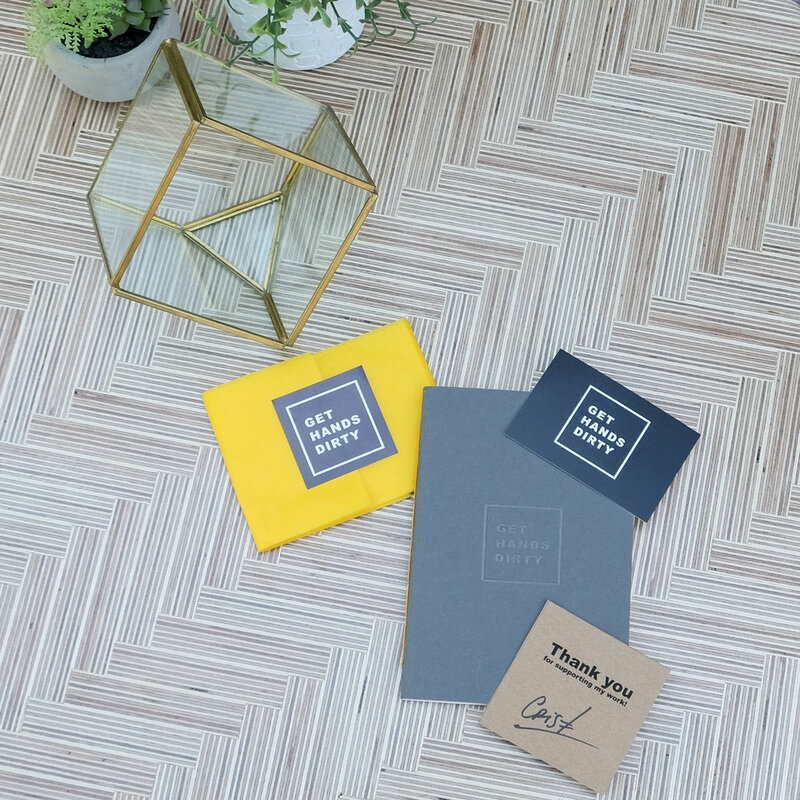 The rounded edges on the herringbone pattern creates this cool wrap-around circular effect. The legs were glued up at an angle then cut out using a template I made. The legs are angled at 20 degrees. The legs were attached using bolts and threaded inserts and I used epoxy on the threaded inserts for added strength. I did a lot of belt sanding with my new Ryobi belt sander to get everything even and flat. Next with my Ryobi palm sander, everything was sanded smooth up to 220 grit. Then I sealed everything with three coat of Minwax Wipe On Polyurethane sealer. Overall, this was a really fun build and I used a lot of different techniques I had never done before. What was probably the funnest part of this challenge was that the maker/builder community was so supportive and inspiring. There were so many cool builds from all parts of the world. Just check out the hash tag #rocklerplywoodchallenge on Instagram or YouTube for more amazing plywood builds.